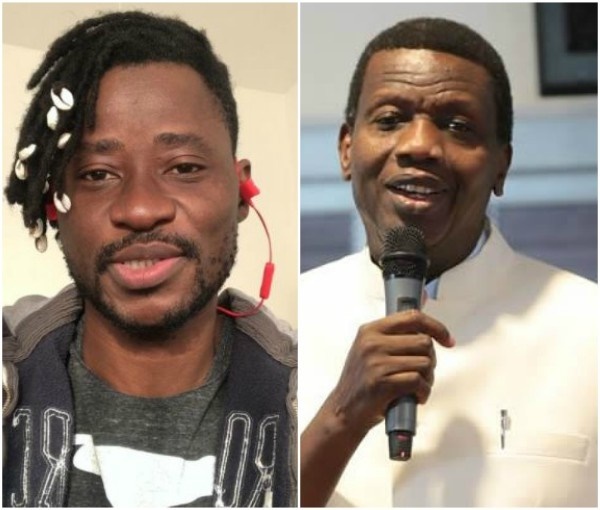 Nigerian gay activist, Bisi Alimi has gone after Pastor Adeboye again, after the General Overseer of the Redeemed Christian Church Of God said that anyone that buys a car with the money he did not earn lawfully would be riding in a moving coffin. UK-based Nigerian gay activist, Bisi Alimi, has accused the Redeemed Christian Church Of God, RCCG, General Overseer Worldwide, Pastor Enoch Adeboye, of stealing from his congregation. He called the revered man of God a thief, irresponsible and vile. Bisi’s anger originates from a statement attributed to Pastor Adeboye and made at the opening of the RCCG Holy Ghost Congress at the Church's headquarters. The ‘Man Of God’ said that anyone that buys a car with the money he did not earn lawfully would be riding in a moving coffin. The statement was also posted on the verified Twitter handle of the RCCG General Overseer. The angry Bisi Alimi replied: "This man is irresponsible and vile. He is the same man that buys private jets with stolen money and lay curses on his congregation if they fail to pay tithe. "With this tweet, @PastorEAAdeboye assumes that his fraudulent ways of stealing money from his followers is somehow lawful, and hence his private jets are not flying coffins.
.@PastorEAAdeboye's income thrives on the corruption of the political class and the vulnerability of the poor in his church. This is the same man that asked for N1b donation in his church in a country with almost 40% unemployment rate. "According to @Forbes in March 2009, Pastor Adeboye spent $30 million on a Gulfstream jet amidst widespread criticism. Pastor Adeboye has no job apart from being a pastor. He is a rich pastor in a rich country of poor people. See why he is a fraud? "According to same Forbes, his net worth is valued at between 39 to 65 million dollars. That is $ and not Naira. Pastor Adeboye has no job apart from being a pastor; can we let that sink in"? This is not the first time Bisi Alimi has attacked and insulted Pastor Adeboye and other men of God.